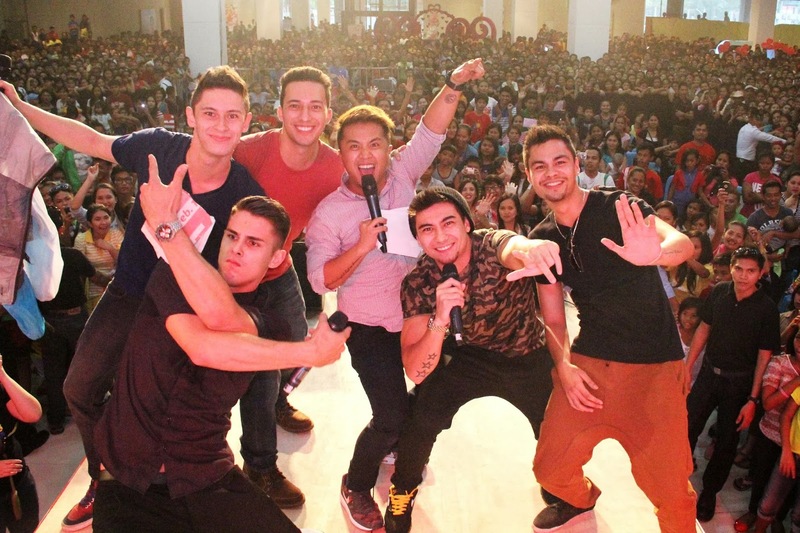 TV5 transformed the vibrant city of Davao into an even more festive one as the Kapatid network led the recent Valentine’s Day celebration with the very successful Everyday All the Way Valentines Mall Show at the Activity Center of GMALL of Toril. Over 10,000 Davaoeños flocked to the special event organized by TV5, setting an all-time record for the most number of attendees in the mall’s entire existence. Boys and girls, and other fans from all ages were exclusively treated to an afternoon of fun, laughter, and kilig, as some of their favorite Kapatid stars took time off their busy schedules just to make the special day even more special and definitely memorable. Headlining the Valentine’s day affair with the Davaoeños was TV5’s ultimate leading hunk and the main star of the Studio5 Original Movies exclusive offering, Bawat Sandali (airing on Tuesday, February 25 at 8pm), Derek Ramsay. 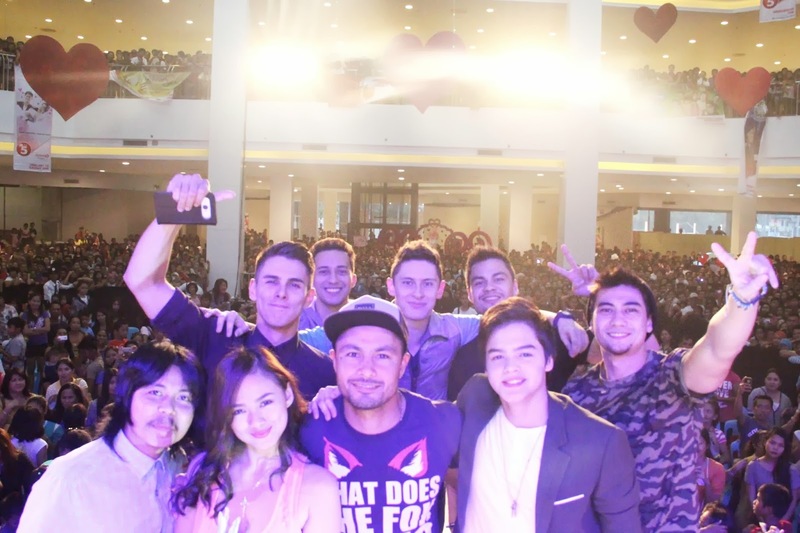 The loud reception of the 10,000-strong crowd as Derek went on stage was a clear sign that the Kapatid hunk really made their Valentine’s day extra special. Also joining Derek on stage was Artista Academy heartthrob Mark Neumann, who will soon be seen in the primetime series Confessions of a Torpe, alongside Ogie Alcasid, Alice Dixson and Jelli de Belen, starting March 3 at 7pm. The stars of TV5’s new weekly sitcom, One of the Boys, TV5 drama princess Eula Caballero, comedian Empoy and the five half-Pinoy hunks who compose the popular group Juan Direction—Daniel Marsh, Henry Edwards, Charlie Sutcliffe, Brian Wilson and Michael McDonnell—also joined the festive celebration. One of the Boys will be top-billed by veteran actor and comedian Joey de Leon, and is set to premiere in March. Davaoeños could not contain their excitement and kilig as Mark Neumann picked a few lucky girls from the big crowd to perform a special dance number with each on stage. Afterwards, the Juan Direction hunks even further electrified the crowd as they played the newspaper dance game that had a Valentine’s twist to it. Eula Caballero and Empoy then entertained the crowd with various funny antics and displayed the craziness that they are also known for in their star-studded weekly gag show, Tropa Mo Ko Unli, which airs every Saturday at 7:45pm. And last but definitely not the least was Derek Ramsay, who elicited the loudest cheers and shrieks as he made his way through the crowd while serenading them. Overall, TV5 definitely took Davao by storm and made sure that these Davaoeños’ Valentine’s day was one that they will never forget!